Through his art, Daniel Fetcho is working to dispel the stereotypical stoner culture, creating paintings that use traditional Chinese techniques. Despite its medicinal value, cannabis still has a hard time dropping its stigma of being a plaything for stoners. But one artist, Daniel Fetcho, was tired of that stereotype and has created art that will not only appeal to a broader audience but will also help end the aforementioned stigma and clichés. 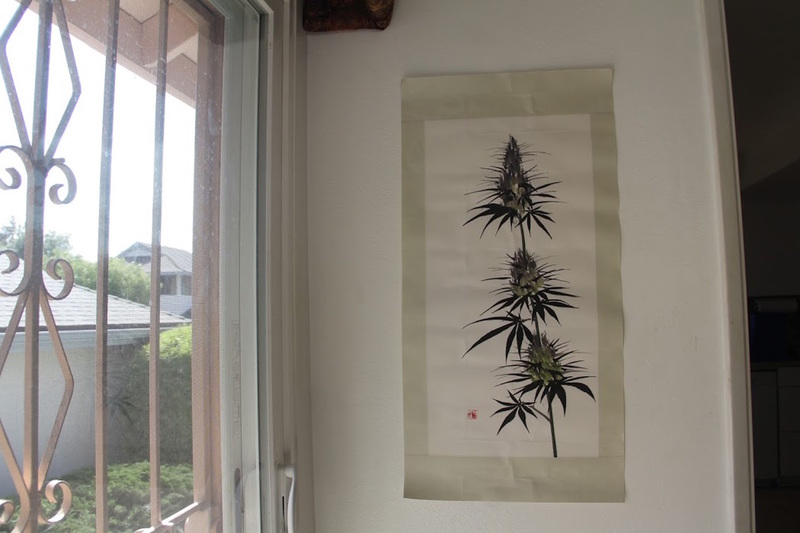 Daniel Fetcho realized that cannabis has a history in most cultures, which is why he chose a style that represents his bi-cultural background of Chinese-German and Irish. It was clear to me that a major barrier keeping cannabis from the mainstream was a branding one. To change public perception towards the plant would require a change in how its image was being portrayed. 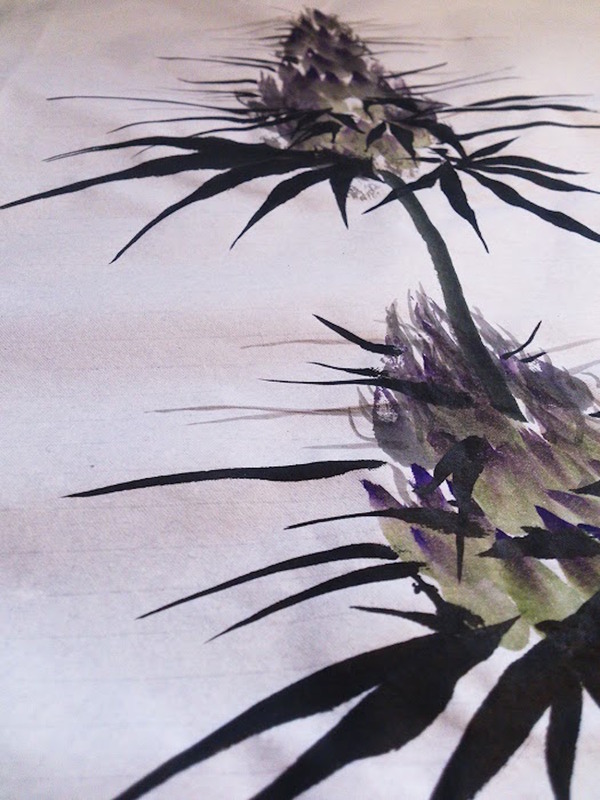 Using traditional bamboo-handled brushes, Fetcho began painting your favorite herb in the style of traditional Chinese paintings (one of the oldest artistic traditions in the world), which also utilize Chinese calligraphy ink and watercolors on rice paper. I wanted to appeal to the art form’s reputation and rich history as a way of enticing people to explore deeper the stigmatization of cannabis which, far too often, paints an unflattering portrayal and obscures the objective truths of its many medical and pharmaceutical benefits. But what makes Fetcho’s work different is that he chooses to not use bright colors, helping reduce the hysteria over a plant, which can do more good than bad. 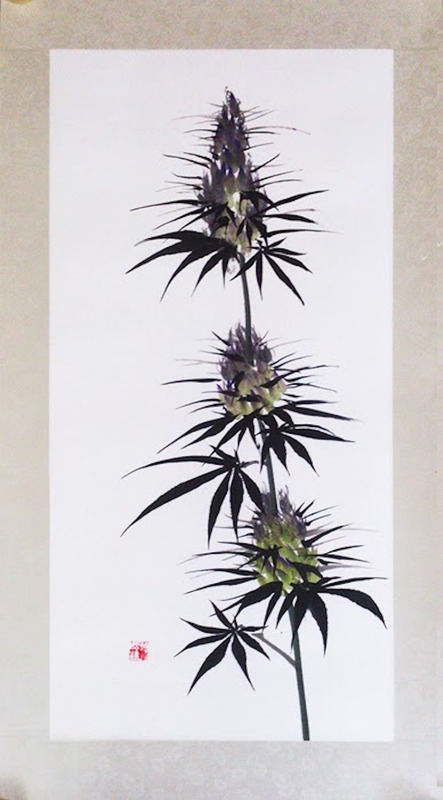 His art has helped change perceptions, with his family being the first to rethink what cannabis represents. While my mother is still firmly opposed to the idea of cannabis for recreational use, she has developed a growing interest in investing in it for pharmaceutical purposes. It’s that kind of change that is needed – working on the individual to change perceptions of the drug from the stereotypical stoner cliché to something it once was, centuries before society and mainstream media used it as a comedic trope. We are currently in the midst of a generational change, wherein the old guard, traditionally wary of cannabis, is slowly making way for people who are more open about the idea of reintroducing cannabis to an accepted social norm. Changes in public acceptance and perceptions take time and require extensive consensual discussions. If his work is the kind of art you’d like in your house, Fetcho can be contacted via email theinkdispensary@gmail.com.